Jacob Sartorius is an American singer, songwriter and social media star. He gained fame via social media from posting lip-syncing videos on musical.ly. 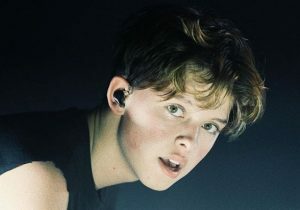 He is known for hits like “Chapstick” and “Hit Me Back.” Sartorius released his debut single, “Sweatshirt” in May 2016, which reached the Hot 100 charts in the United States and Canada. He released his debut EP, entitled, “The Last Text” on January 20, 2017. He released his second EP “Left Me Hangin'” on October 6th, 2017. Both of Sartorius’s EP’s have debuted at number 1 on the iTunes pop charts. Jacob is very popular on social media & has more than 9 million followers on his Instagram account. He has more than 1.65 million Twitter followers and over 3 million subscribers on YouTube. Born Rolf Jacob Sartorius on October 2, 2002 in Oklahoma, USA, he was adopted shortly after his birth and raised in Reston, Virginia. He has one older sister named Caroline, and his parents are Pat and Rolf Sartorius. He has been in a relationship with Stranger Things actress Millie Bobby Brown. *He was born in Oklahoma, USA on October 2, 2002. *He was apart of his school’s musical theater program. *He has a pet cat named Prince. *He was the 9th most searched musical artist of 2016. *Follow him on Twitter, YouTube, Tumblr, Facebook and Instagram.